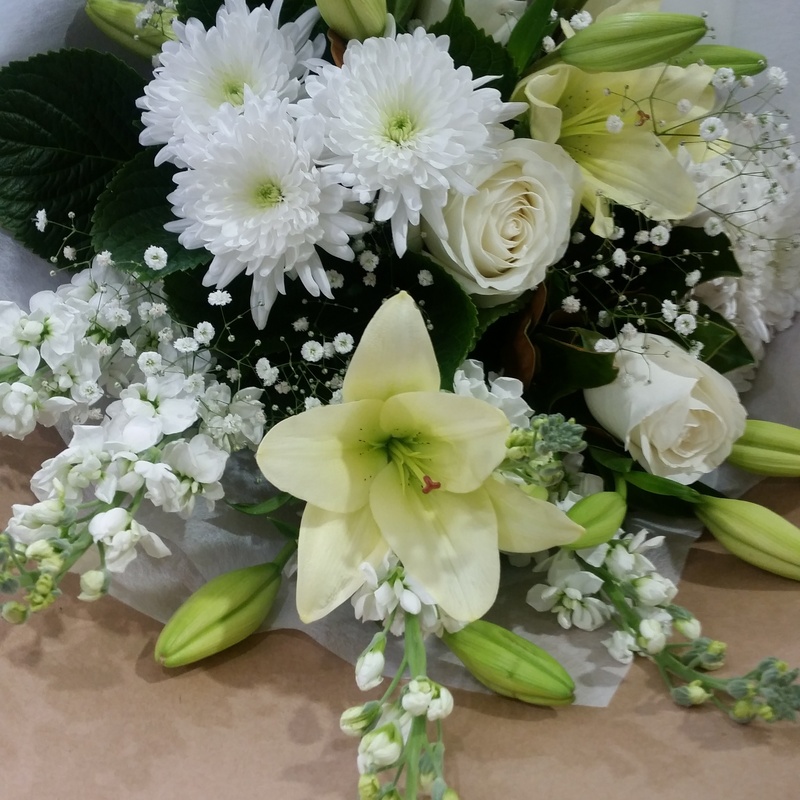 Send a gorgeous and elegant mix of fresh white and green flowers. This bouquet is made seasonal white and cream blooms and is spiraled with fresh foliage. 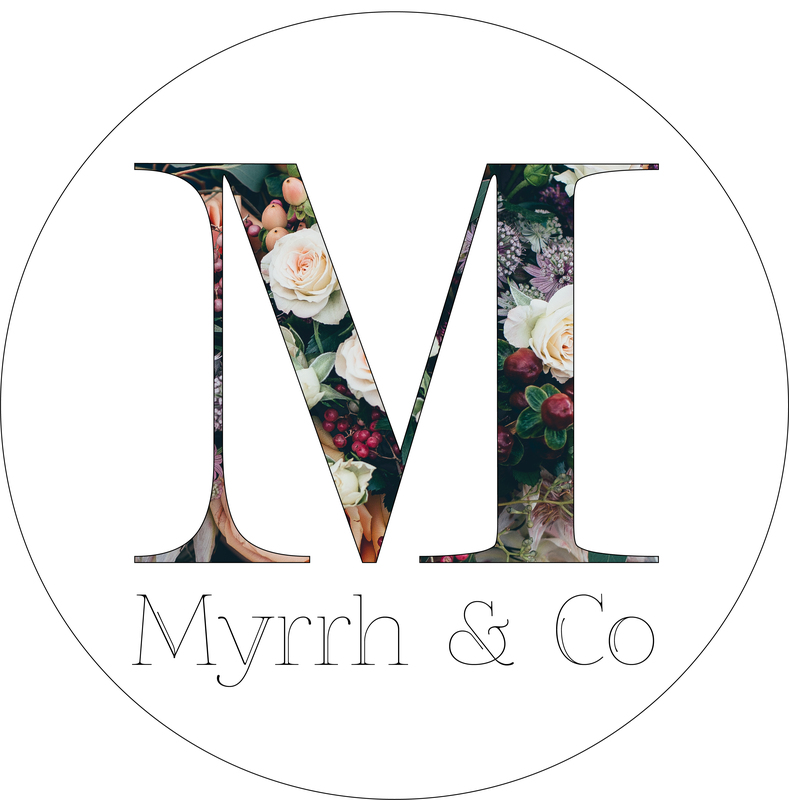 Personal Message: We will hand write your personal message on a Myrrh Florist signature delivery tag card. Please write your message in the ‘order notes’ box at checkout. Want custom made? Contact us! • Please note the product content will vary due to seasonal availability. Send a wonderful mix of fresh autumnal and winter flowers. This bouquet is made of seasonal blooms and is spiraled with fresh foliage. 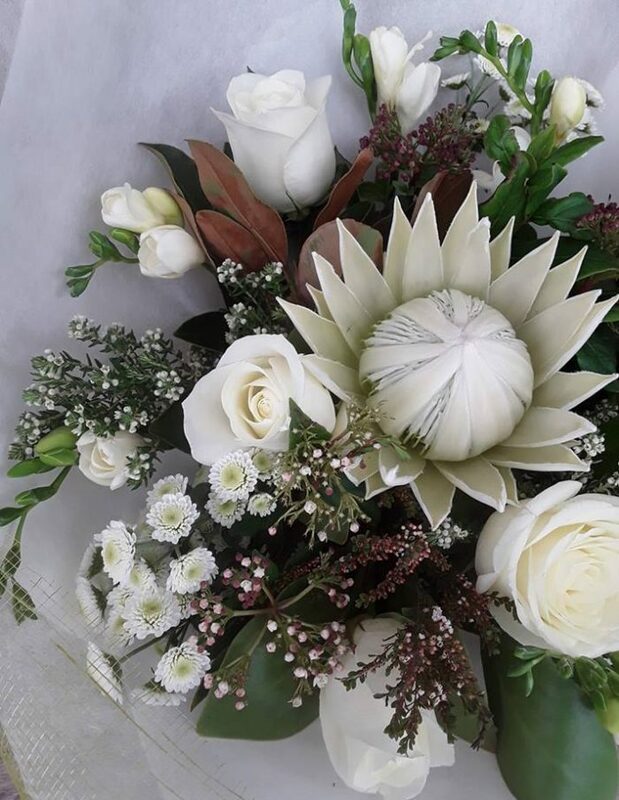 Send a gorgeous and elegant bouquet of fresh white flowers. This bouquet is made seasonal white and cream blooms. 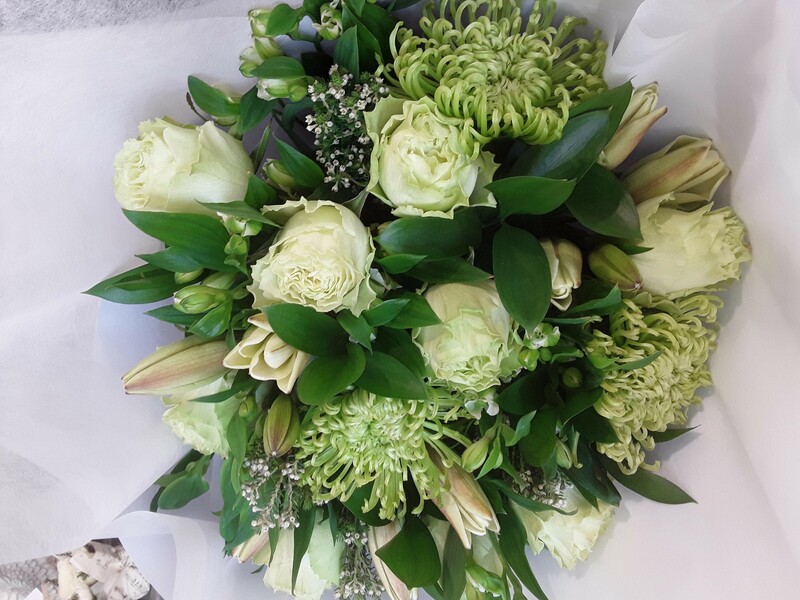 A beautiful bouquet of white rose stems – these beauties are sure to impress. These top quality roses are the perfect way to say ‘I love you’. A beautiful bouquet brimming with flowers in soft pastel tones. This bouquet is made of seasonal pink, apricot, cream and white flowers and is spiraled with fresh foliage.